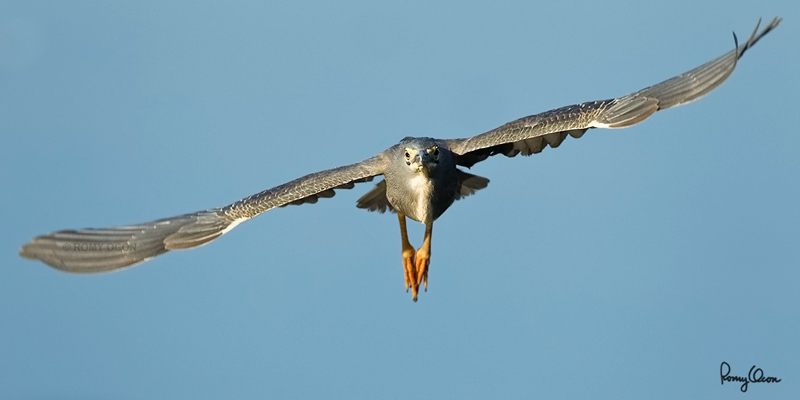 I was set up well for shooting birds in flight along the shore of the Coastal Lagoon last year when this Little Heron flew straight towards me. I remained motionless so as not to scare the bird, and apparently this worked – the bird continued with its flight path till it was very close. I shot several long bursts at the incoming bird, and most of these are in good focus. Head-on flight shots are among the toughest AF job for any camera, and the 1D MIV worked beautifully even with a 1.4x TC on the 500 f4 IS. The critical focus plane was right on the head/shoulder area. At 700 mm, f/6.3 and 50 feet distance, there simply wasn’t enough DOF to keep the tail and feet sharp. Habitat – Exposed coral reefs, tidal flats, mangroves, fishponds and streams. Shooting info – Coastal Lagoon, Manila Bay, Philippines, July 6, 2010, Canon 1D4 + 500 f4 IS + Canon 1.4x TC II, 700 mm, /6.3, ISO 400, 1/1600 sec, manual exposure in available light, 475B/3421 support, 15.3 m shooting distance, background is out-of-focus seawater.